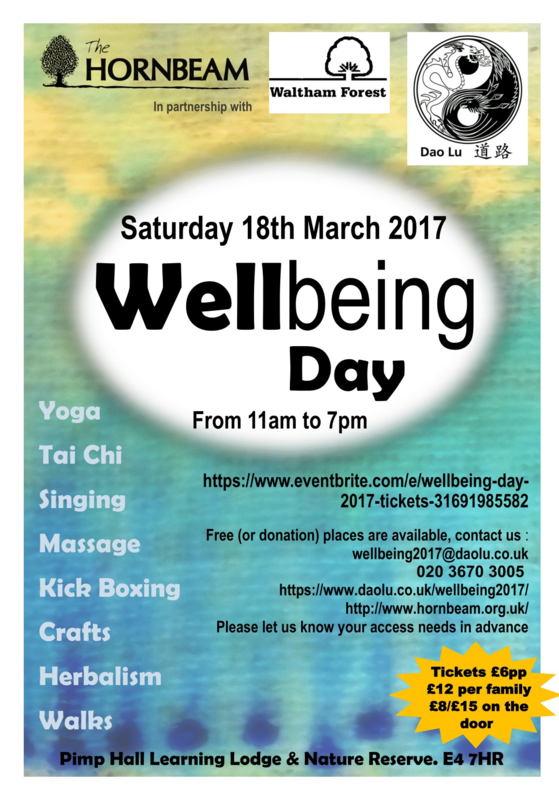 Wellbeing Day 2017 in Chingford Pimp Hall Nature Reserve is coming back this year! Dao Lu C.I.C. is leading and collaborating with Hornbeam Team, Waltham Forest Local Area Coordinator Team and 15+ other local groups to stage this wonderful event. There is something for everyone. The Focus of 2017 event is health. 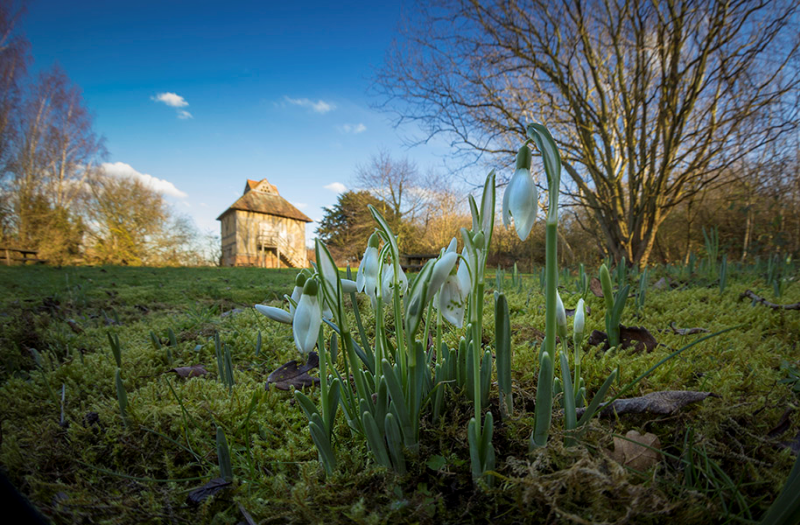 Why not try a rich whole day programme with a day ticket in the beautiful local nature reserve? Tai Chi, Yoga, singing, massage, making lights and lanterns and a glow walk, the list is endless. We even have a Men’s Shed Group for guy-friendly chat! Workshops are first come, first served, due to limited spaces. There will be a signing-up list on the door. Here is the full programme (PDF) for the day. If you would like to download the poster, click here for front and here for back. Concession rates / free (or donation) places available. Please contact us with your concession information. Please like and share our Facebook event page! Yoga (prevention of fall) for 60+ 11:00 – 12:00 Connect mind and body, develop balance and grow your strength and flexibility in this simple Hatha yoga session for people over 60. Mats provided. Beginners welcome. (including pregnant women) 12:00 – 13:45 Gentle massage to give your body a much needed relief. 15 minute per slot for each mum. Appointments on the day. 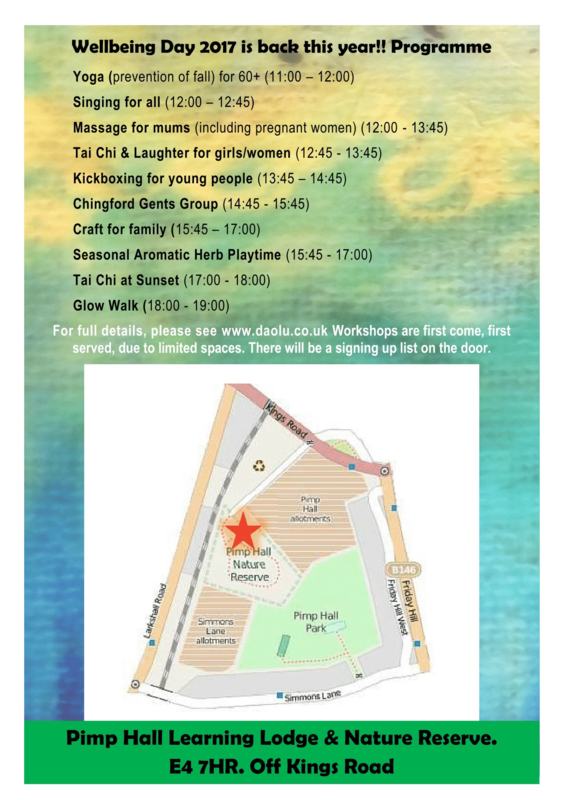 for girls/women 12:45 – 13:45 Get to know Tai Chi’s tremendous health benefits and calm your mind in a friendly female only session with a good laugh! Please let us know if you have any access needs. Aged 11+. All levels welcome. young people 13:45 – 14:45 Have a full-body workout and reduce your stress and frustration. Please let us know if you have any access needs. Aged 8+. All levels are welcome. 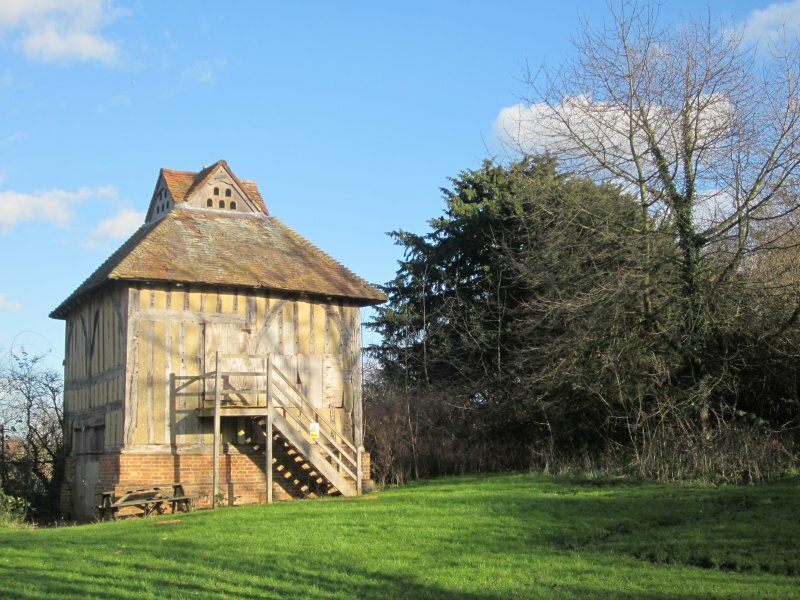 Men’s Shed Group 14:45 – 15:45 Natalie and Tom's Group aim is to research, consult with men, and come up with ideas for wellbeing activities locally: the invited guest is Tom Dawson talking about Men's Sheds to be based at Friday Hall and an update on what needs to happen next. Craft for family 15:45 – 17:00 Make lights and lanterns that glow in the dark. Later we use them for a glow walk in the Pimp Hall Nature Reserve when it is getting dark! We need lots of dads to join in and lend us more pairs of hands! 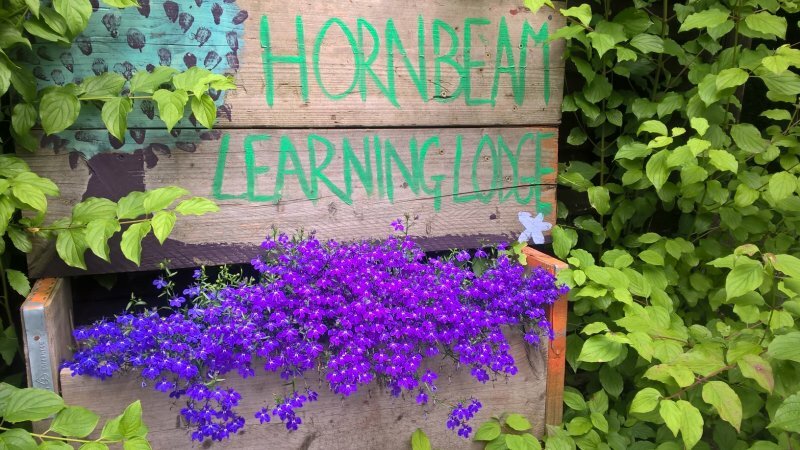 Seasonal Aromatic Herb Playtime 15:45 – 17:00 Crush a fresh herb and experience its aroma and draw it if you want to. Try a tea made from the same herb and learn about its medicinal uses. You are encouraged to touch, feel and smell it and look at simple features such as the stem and leaves and then maybe draw or crush or mount it onto paper? Other herbal products will also be available to try. Everyone welcome. Tai Chi at Sunset 17:00 – 18:00 Flow like a cloud and work in harmony with the nature through Tai Chi. Everyone and all levels are welcome. Glow Walk 18:00 – 19:00 Time to wind down and have a glow walk using the lights and lanterns we made earlier in the craft workshop. Everyone welcome. All events are subject to space and availability. Outdoor activities subject to weather. Programme may be subject to change.